According to the World Health Organization, 9% of all adults in the U.S. reported struggling with chronic shoulder pain. Most incidences are due to aging or injury, but some may indicate an underlying disease or condition. How can you successfully treat my mid back and shoulder pain? Patients with mid back pain often benefit from spinal adjustment and regular chiropractic care, but each case is different. To address each patient’s unique issue, we find that a multi-pronged approach to treatment is most successful. Through safe, non- or minimally-invasive methods like spinal manipulation, massage, physical therapy, acupuncture, trigger point injection therapy, and laser therapy (using our LCT 1000 Deep Tissue (Class IV) Laser, the most powerful healing laser technology available today), we’re able to target and eliminate the cause of your pain. What are the symptoms of mid back and shoulder pain? What causes mid back and shoulder pain? Mid back pain is most commonly caused by some sort of muscle strain. Sleeping in an awkward position, sitting with bad posture, or simple overexertion can be responsible for mid back pain, as can arthritis or general wear and tear. While not quite as common as low back pain, mid back pain can be every bit as severe. 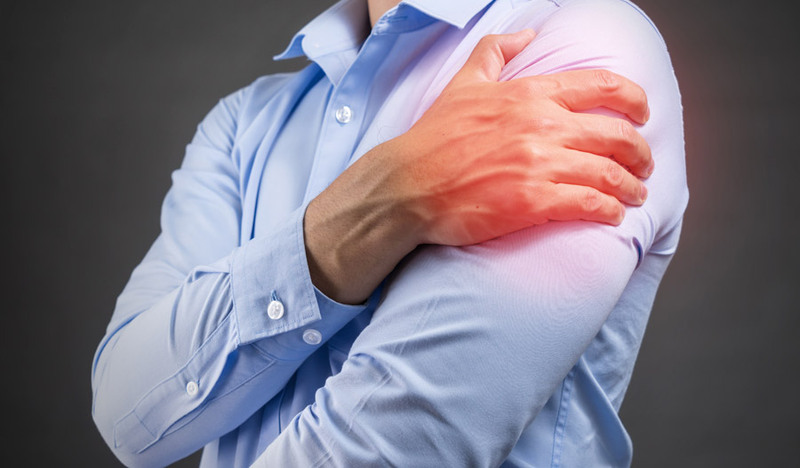 Some of the most common causes of shoulder pain include injury or trauma, pinched nerves, diabetes, rheumatic disease, arthritis, bursitis, and tendonitis.